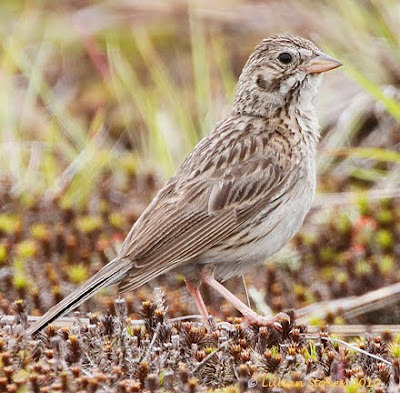 Vesper Sparrow, you can see a hint of the rufous shoulder patch, not often visible. 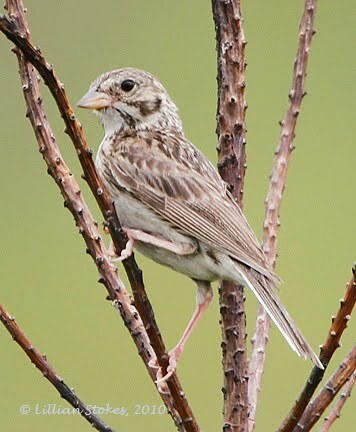 Sparrows are beautiful and challenging to identify. 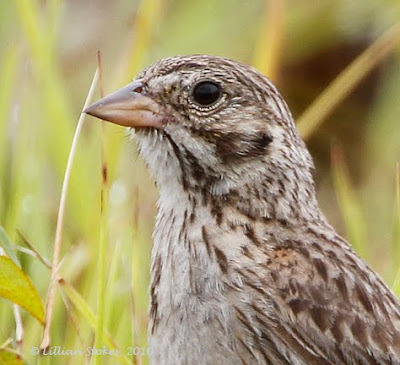 You need to get into subtlety, since most sparrows are shades of brown, and appreciate how wonderful they blend with their environments. We enjoy that. I took the photos with my Canon 1D Mark IV camera, my 500 mm lens and a 2x teleconverter, thus I had the equivalent of a 1000 mm lens, which helps to get closer shots of these birds. 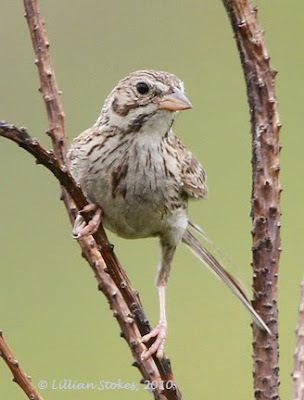 I have been trying to identify some of the sparrows I see everyday, here in a forests' edge and tree line near conservation area in Newmarket, NH. I recently started to photograph them in order to get something to help me do the identification with. Beautiful photos. You are an inspiration to one trying hard to see the minuscule differences in these birds. Beautiful shots.I have struggled long and hard to get an almost good enough picture of these guys. Great photos of the Vesper. I have had a few looks myself but not so closeup. I took the photos with my Canon 1D Mark 1V camera and a 500 mm lens with a 2x teleconverter.